Do you know what another great perk to running these giveaways is? Besides, celebrating with all of you and my beloved makers? Sometimes, I run into an awesome chick and her gorgeous polishes and BAM! Another new friend! I'm so excited that just such a thing has occurred with this giveaway! 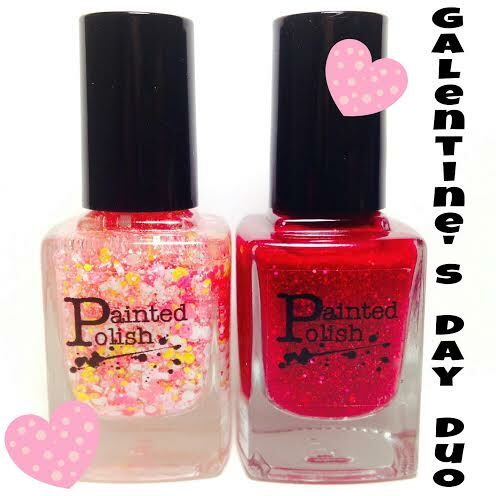 Lexi of Painted Polish is a girl after my own heart--funny, enthusiastic and super sweet!! So, I'm doubly excited to be showing you what 3 lucky winners will be walking away with today--plus, Happy GALentines' Day, don't forget to celebrate your best girlfriends!